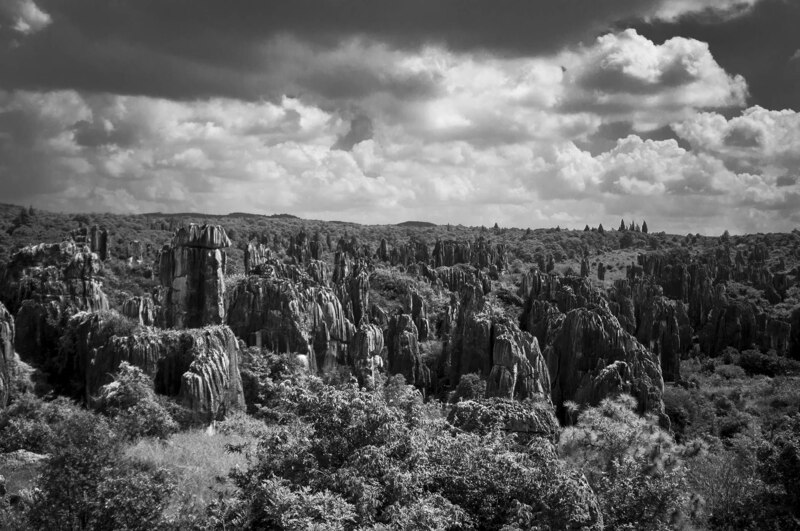 About 100 km southeast of Kunming is the Stone Forest called Shilin. 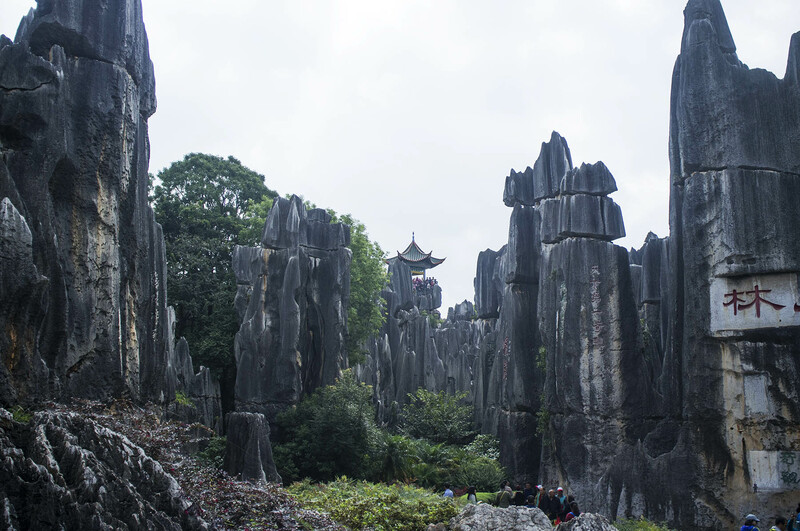 It is a massive collection of grey limestone pillars split and eroded by wind and rainwater. 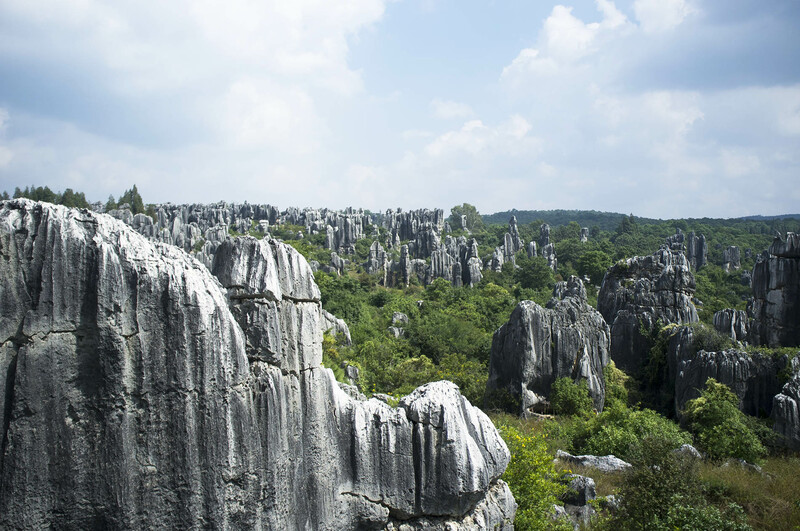 Developed as a tourist attraction consisting of rock caves, arches, and pavilions. 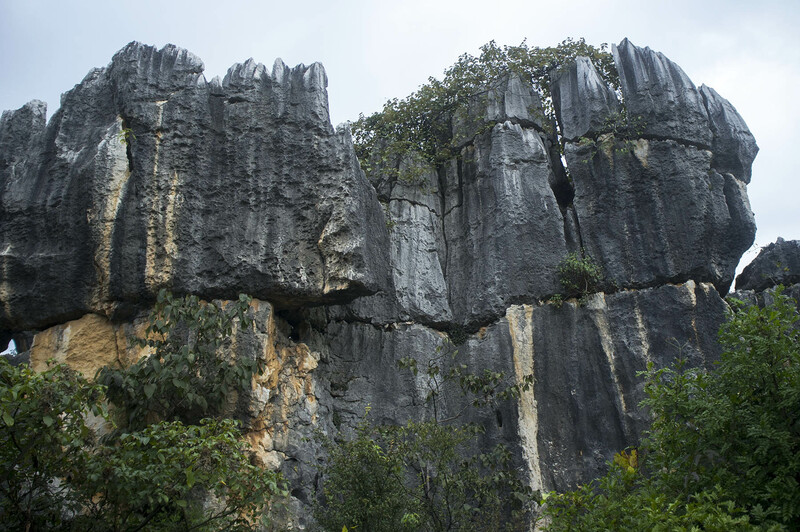 Shilin is part of the larger karst-based landscape of the area. A worker apologising for throwing a rock at us. 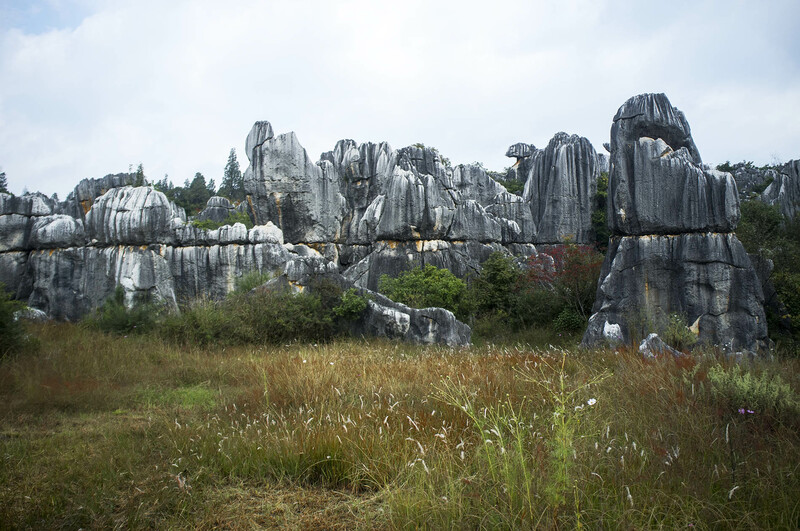 Stacked karst rocks slashed as if the were cut by a fine laser. 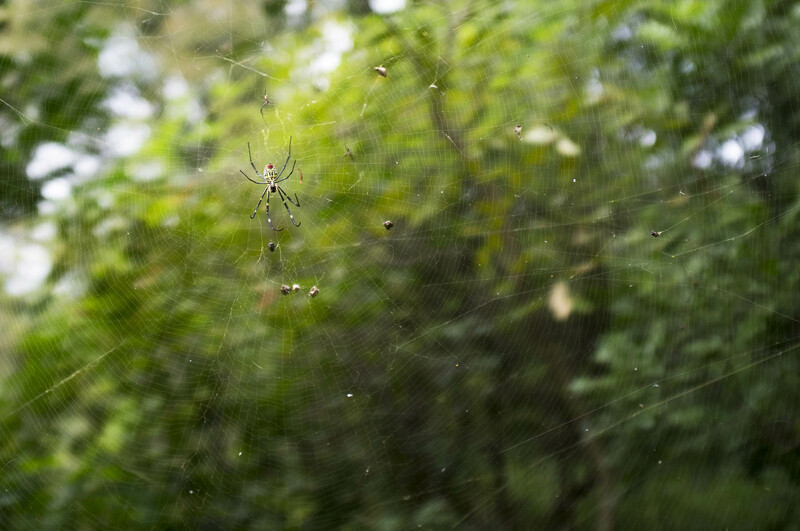 This place is crawling with spiders. 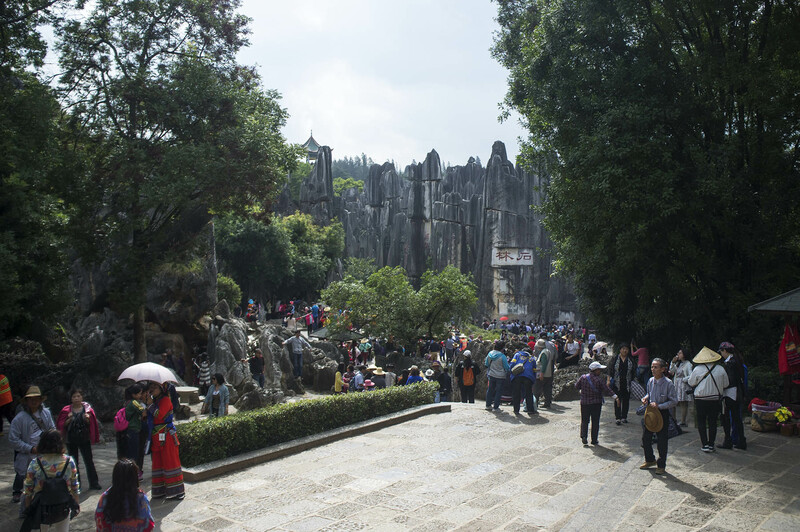 As I’ve mentioned previously domestic tourism in China is very developed and due to the large population, there is a follow the herd mentality, which is why the Chinese tend to follow a guide and probably end up in exactly the places it has recommended. All tourists are queuing up for one small viewing area. 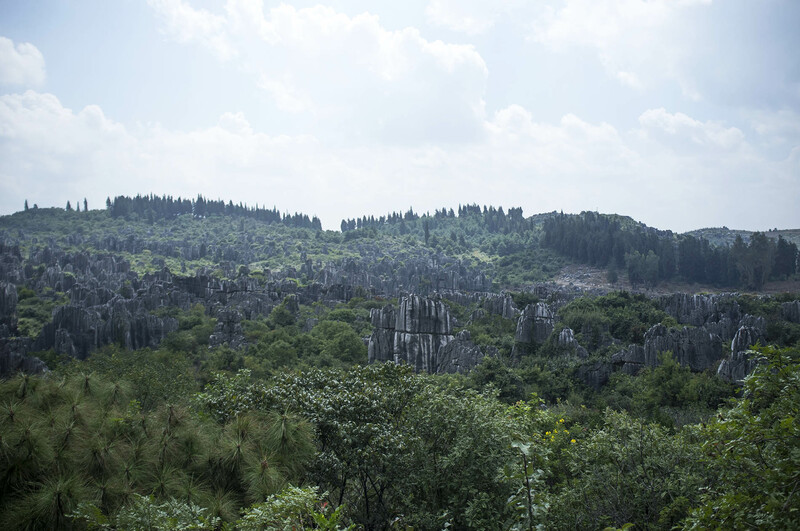 Because of this, most of the Shilin stone forest remains undiscovered. Which is a big loss, because the whole site is huge and can be explored by foot, becoming a labyrinth wonderland. 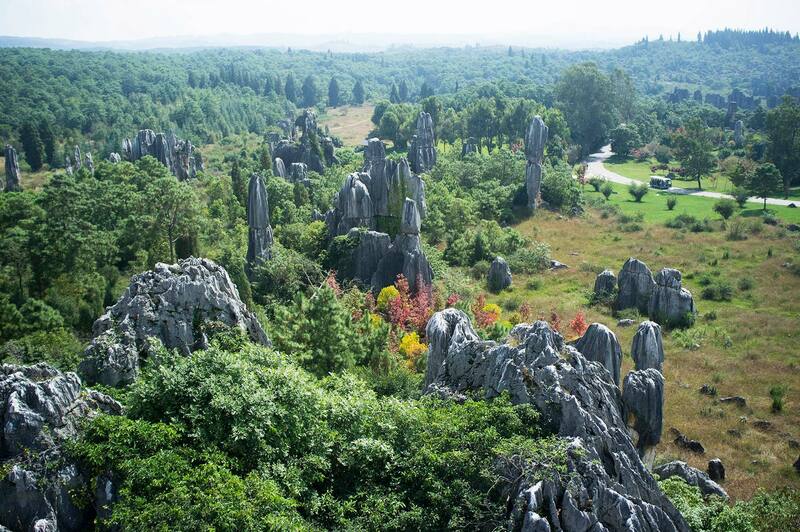 View over karst stones from the hill. From far away these stones merge with trees and disappear. A fellow traveller I met had a seizure, then lost consciousness and woke up in hospital with one of his back bone plates fractured. 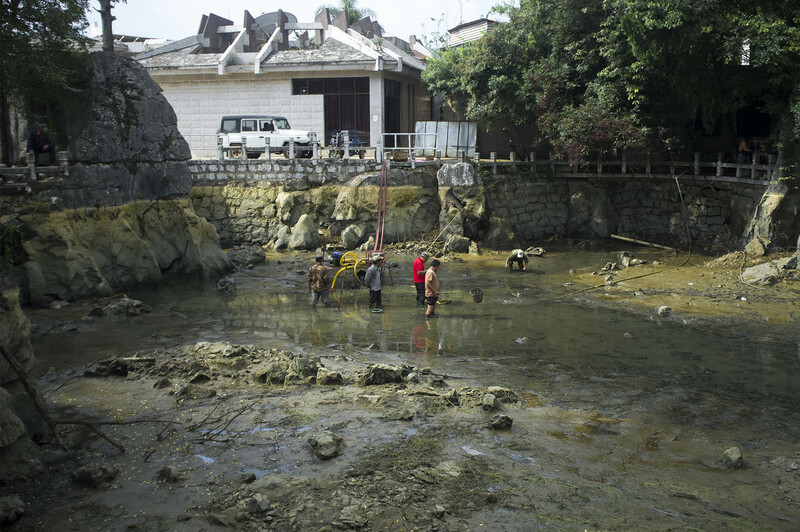 When I met him for the first time in Kunming, the whites of his eyes were totally red, just like in a zombie movie. 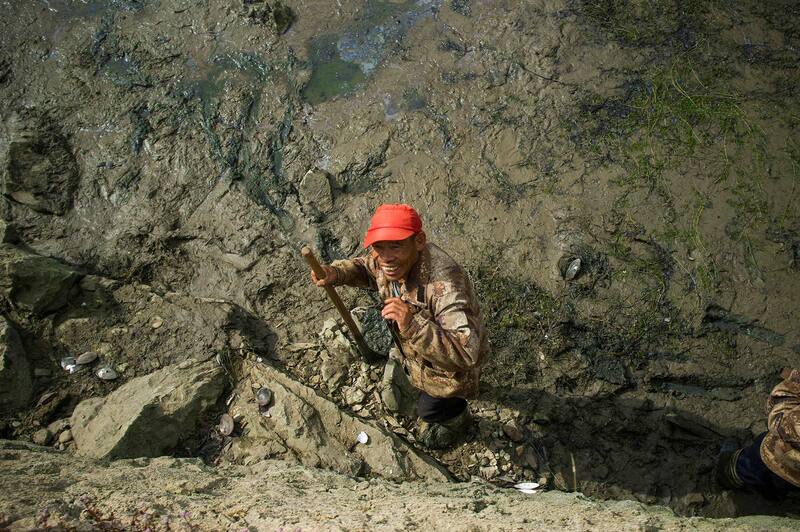 Nevertheless, he climbed one of the rocks in Shilin forest and was pretty happy with it. Brian is on top of the rock. 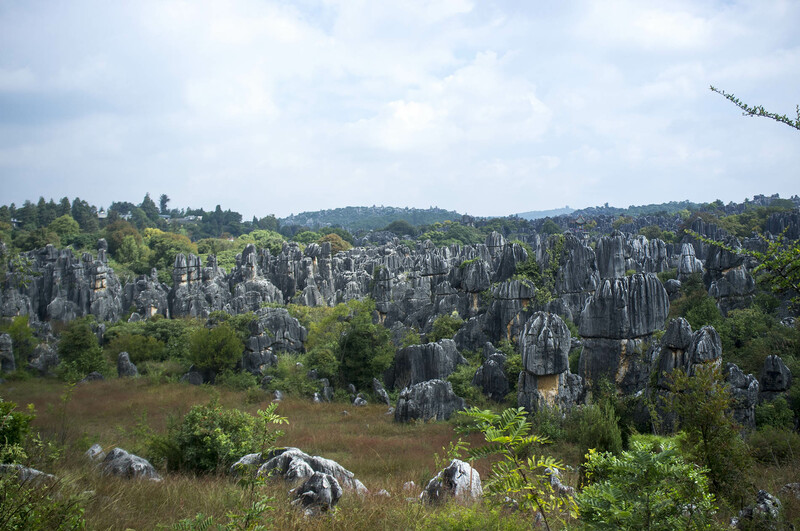 Panorama of the stone forest. 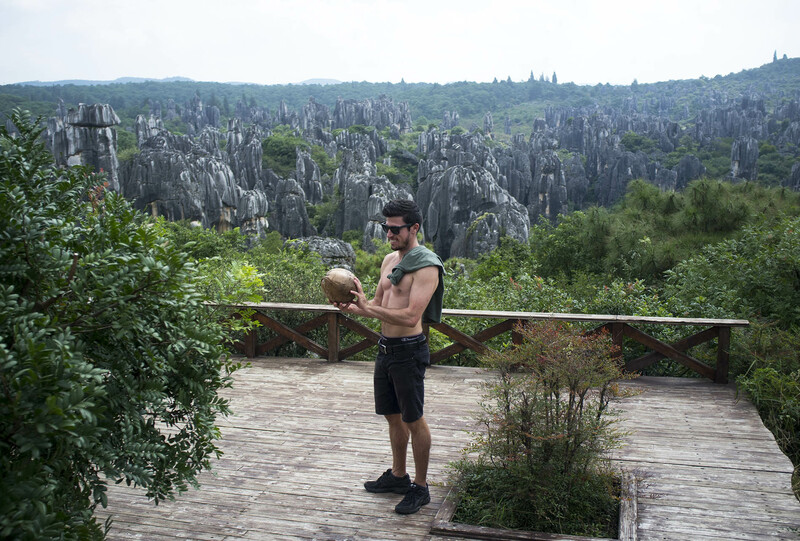 Walking has own benefits, like for example discovering coconuts on the way, cracking them open and drinking the juice. Brian is happy with the stolen coconut. It was worth it. 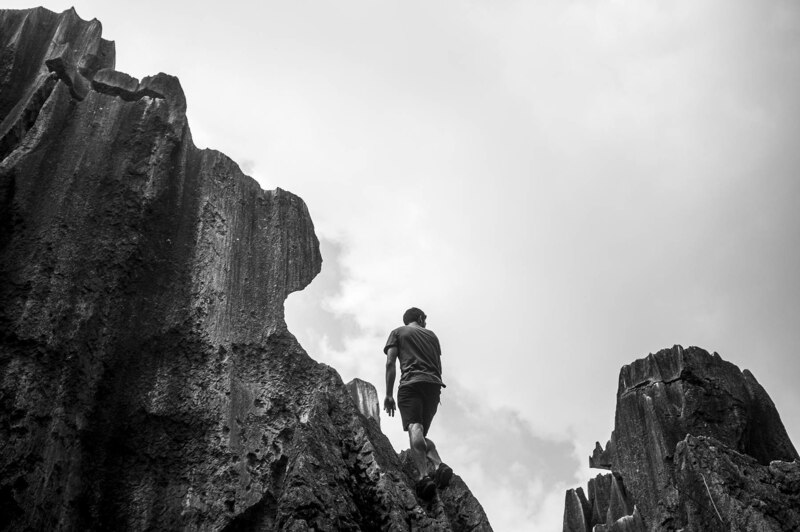 Overall whether this place is a banana pancake trail or a climber’s wonderland is up to the individual. On to of the rock.